and his name is a 24 inch dell monitor connected to a quad core computer. I recently bought a new computer, mostly because I wanted to have a bigger screen to work with when I’m working from home. I figured if I was going to get a new monitor, might as well have something to hook it up to. I picked up a dell because it was cheap. For a quad core machine, it was $850 with a 24 inch monitor included. Along with that, I picked up an ATI 4850 for about $150. Not a bad deal all things considered. The last few computers that I’ve had were laptops, so high end horsepower was a distant dream. Last time I was anywhere near the power curve was with a Voodoo 3 playing unreal tounamernt . With that, I grabbed the Crysis demo and installed that. During the first bootup, it ran pretty well and I was satisfied. Of course, test number 2 was to crank all the detail settings up to high and change the resolution to 1920 x 1200. That’s a bit too much for my little graphics card to handle. Instantly, performance went from “That’s pretty good” to “Broken slow”. It did look really, really good though. People still look like 3d models, but they look like very sharp 3d models. This puts me in a situation though. I am looking forward to Fallout 3. I’m asking myself if I should pick it up for the PC or for the 360? I mean the graphics are good on the 360, but there’s always the slider bar on the pc to allow for spectacular graphics on the pc. Anyhow, I’ve found computer gaming again and it is my savior. A lot of people like Oblivion on PC b/c of the mod support, but it depends how much of that you are really going to install vs. just playing the original game through and moving on. Matt and I both just got Company of Heroes. Care to take that for a spin later? Ted, you are the most practical person I know. I hope you enjoy that new, unnecessary companion to your monitor. Also, I hope you post about your hackintosh! Of course, with hindsight, you should have posted a LINK to this deal more specifically here as well right after ordering (or before), so we could see what you got more exactly for the price. 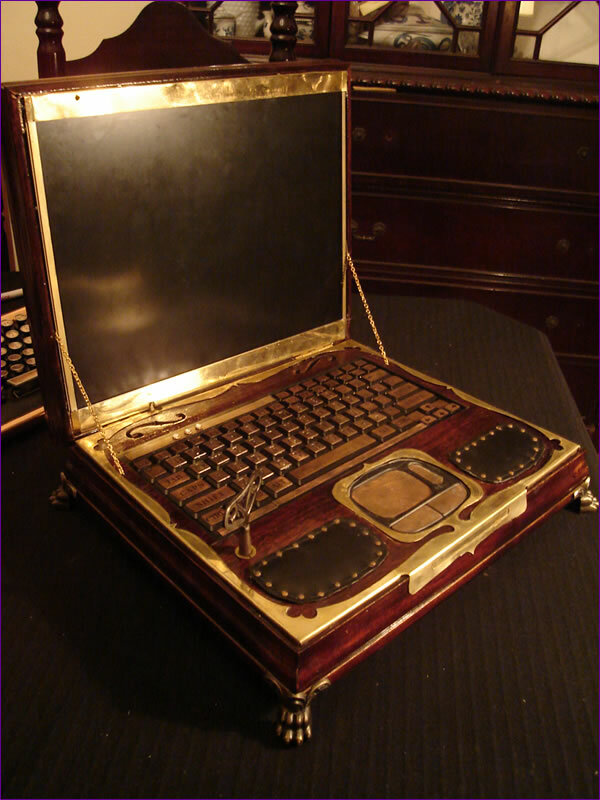 This guy turned his laptop into a steampunk-themed contraption. It even turns on with a clock-winding key. Cool. More awesome that most awesome things. Practicality hurts it a bit, but makes up for it in style. Now, if only it had a mod to actually steam a little. That would be something amazing to see. They need these on old Tour Trains (where you ride around for a week on a train as the vacation). But on this machine, Vista has been as smooth as butter. UAC isn’t annoying when it is up and gone in under a second. Not to mention, if I want to use more than 2 gigs of ram (3 in special circumstances), then I have to go 64 bit. And we all know how much worse XP 64 bit is in terms of driver support. I currently have 4 gigs, and for 80 bucks more I can bump that up to 8. Seeing as how I’m sitting at 2gigs used as I write this, I think it good to get more. 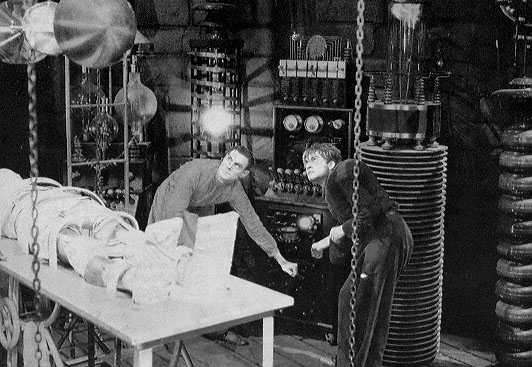 Is the next step setting up the media server or installing SP1? I’m eagerly awaiting your report on SP1 and a report on bug fixes. I think you know the main one I want to know about, but it will be interesting to see how other issues are resolved. Ohh..right, the 15-2 thing. i still need to get the capture card in the box before I can test that. Despite Vista’s instability on some of my other machines, it hasn’t yet crashed on this one. same here. It has been quite stable. Explorer crashed once when I had two seperate file transfers going, and then tried to play a game of Neverwinter Nights 2. Tags: building the new computer ( 6 ), built my new computer, computer, magic smoke, omg! fire! I built my computer. It turns on. I invite you to read the tale of how this came to be. Be warned, however, as these pictures are 2 megs each, and can be full screened by Viewing them. That’s a nice computer. I should get one like that. Yeah, I need one like that too. 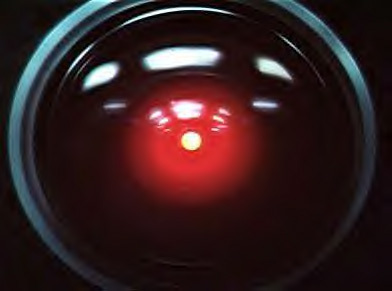 BTW, even *I* knew that processors don’t have pins anymore. And the last time I built my own was…. never. So, I’m looking for the best workstation style flops/$ for parallel computing. Any suggestions? 8 cores good, 16 better. I was thinking of going with a Mac Pro for $2800. 8×2.8 GHz Harpertown cores & 2 GB ECC RAM. Student discount takes off another 10-20%. PS: In the future please resize your images to not be the original XBOX HUEG or I’m going to have to take your computer. Oddly enough I was having problems loading your page, but seriously, my desktop isn’t *that* old. Q: Why would I need so many cores? A: To load your images. I left the screens full size because I wanted people to be able to download/view them close up and see details like pins. I am aware that it can make this page….take awhile to load. But that is the sacrifice. _Normal_ webmasters don’t abuse their visitors. :p They also use small ‘thumbnail’ images to link to the full sized images. At least you should register an affiliation with NewEgg and get 5% of all sales you refer to them. Or something like that. Have you thought about getting a ps3 for your project? The PS3 has about 200 gflop from the cpu PlayStation 3’s Cell CPU achieves 204 GFLOPS single precision float, maybe 15 for double precision, while a 8 core is around 50 gflop. Hey hey! Overall the PS3 would require too much rewriting for my resources, but I think it might work very well for a subset of my needs. Thanks, I’ll keep it in mind. I could do without some things (smaller case, HD, & vid card) and improve on others (upgrade memory & quad core), and have my self a reasonable cluster node. Definitely not workstation class hardware, but it would work as a hackintosh for cheap. The computer is built. I’ve been working on a ‘how I built it’ guide with pictures, but it has been taking more time than I would have liked. It should be up shortly. For now, it seems the hardware is ok (no fire). I just need to get vista on there and updated (and not shut down improperly, causing the computer to get into a “Configuring Updates” loop on every start up, making me format once more). Tags: building the new computer ( 6 ), computer, how long until it is slow?, mattlindh ( 3 ), new computer ( 3 ), will it run crysis?, will it run Vista? Found the parts. When I flick the switch will it live? I’ll think of a name for it over the next few days. My current desktop, ely4sm, is from June ’03, invoiced back in January of 2003. I just dug up the paperwork to double check that. That’s older than I thought. Of course, it was a beast when I bought it, costing over $3000. I worked the whole summer of Senior Year to get the extra $1k to buy my alienware (which lasted one year before they had to cough up a full refund…but that’s another story. With the refund I bought my current desktop). Anyway, this sucker, in its entirety, is still expensive but only a fraction of that: only costing roughly $1300. 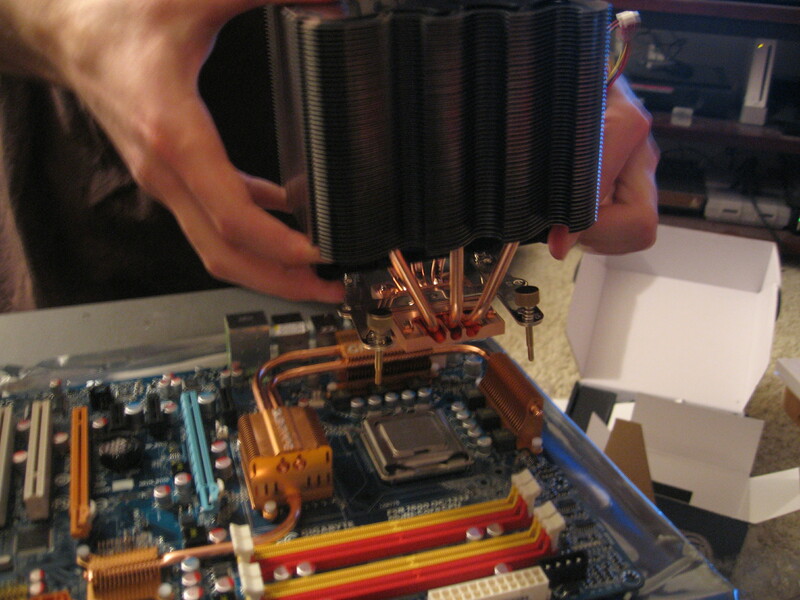 That’s including a custom heatsink (which I never did get on ely4sm). When the parts arrive, I’ll have to put it together. I hope it turns on.